Born in Petersfield, Hampshire, England, Peter Biggs graduated in 1953 from the Royal Veterinary College, London University. He gained a PhD from the University of Bristol in 1958, and a DSc from London University in 1975. He was Lecturer in Veterinary Clinical Pathology, University of Bristol, from 1955 to 1959. His main scientific interest was viral oncogenesis. In 1959 he moved to the Houghton Poultry Research Station (HPRS) to form and head a Unit to study lymphoid tumour conditions of the domestic fowl. He gave the name Marek’s disease to one of the tumour conditions, and he and his group determined that it was caused by a herpesvirus, and later developed a vaccine for the disease. He also described a novel disease in turkeys, lymphoproliferative disease of turkeys, which he and colleagues showed was transmissible and was likely to be caused by an oncovirus unrelated to known avian oncoviruses. He was Director of HPRS from 1974 to 1986, and founding Director of the Institute for Animal Disease, formed from an amalgamation of four animal disease research institutes, from 1986 to 1988 when he retired from full-time employment. Peter was a Visiting Professor in Veterinary Microbiology at the Royal Veterinary College, London University from 1982 to 2008, and an A.D.White Professor at Large at Cornell University from 1988 to 1994. 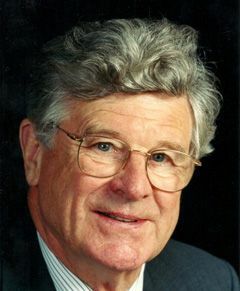 He served as WVPA Secretary/Treasurer (1971-81), WVPA President (1981-85) and Editor-in-Chief of Avian Pathology (1973-87), and has been a WVPA Honorary Life President since 1989. He received Honorary Doctorates from the Ludwig-Maximilian University, Munich, Germany and the University of Liège, Belgium, and the Joszef Marek Memorial Medal from the Veterinary University of Budapest, Hungary. He was elected a Fellow of the Royal Society in 1976. In 1989 Peter was awarded the Wolf Prize for Agriculture. He was created a Commander of the Most Excellent Order of the British Empire (CBE) in 1987. For many years Peter has sung in a choir. He is also interested in natural history and sport. He has been married to Jan for over 60 happy years, and they have had three children (one a veterinary surgeon) and nine grandchildren.